The Aldershot Town Supporters Trust are delighted to announce a new Alliance with FansBet, the only betting site that shares profits with fan organisations. This means that your money still goes to a good cause, even after a losing bet. All money raised through this route will go to Boost The Budget – and totals will be announced at the start of each quarter. 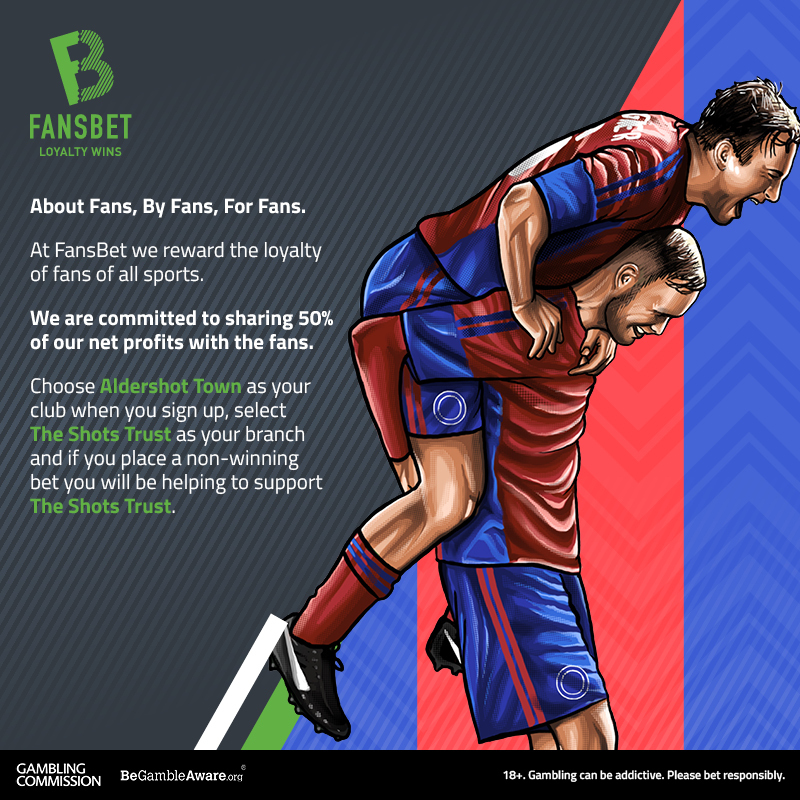 The process is very simple – just signup to join Fansbet via their website www.fansbet.com; and as part your user account indicate that Aldershot Town is your football club; and that you support “The Shots Trust”. 50% of the net profits associated to Shots fans will be handed to the Trust for our fundraising efforts at the end of every quarter. To celebrate the start of this relationship – Aldershot were 9/1 for Promotion but FansBet are offering 12/1 for a short time. Other specials are available – look for “National League Specials” in the football section. Please consider switching allegieance from other online betting firms to ensure that your money will become “win-win” ! Read all about how FansBet offer a different approach to betting here.